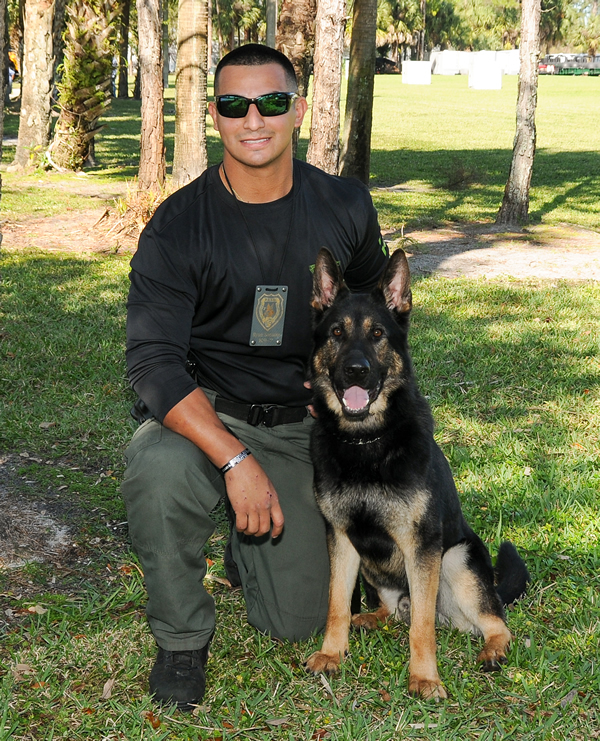 We are happy to report that Deputy Ryan Soriano has a new partner...meet K-9 Retu! The Sheriff's Foundation acquired the dog for PBSO thanks to a grant from Miss Felicia Taylor and her family charity, the Mary Hilem Taylor Foundation. Felicia stopped by to see Ryan and Retu, and to wish them well as they protect and serve the citizens of Palm Beach County. Retu is a 22-month-old German Shepherd, and he will work patrol and explosives detection. Deputy Soriano’s previous partner, K-9 Cigo, was shot and killed on Christmas Eve, 2018. If you would like to sponsor a K-9, please contact the Sheriff’s Foundation.